Preheat oven to 175°C/345°C. To make the crust, place the graham crackers into a food processor and pulse until fine. Place into a bowl. Melt the butter, pour over the crumb mixture and stir to combine. Pour the mixture into a cake tin and press down well to create an even base layer. Transfer to the fridge to set. In the meantime, add sugar, quark, cream cheese, and lemon zest to a bowl and mix well. Beat eggs in another bowl, gradually add them to the cheesecake mixture, mixing well until combined. Finally, add the flour and mix again. Remove the cake tin from the fridge. Pour in the cheesecake mixture and bake at 175°C/345°C for approx. 50 min. In the meantime, using a food processor, puree the blackberries with the vanilla sugar. In a small pot, prepare gelatin according to packet instructions, gradually add in the blackberry puree, remove from heat. 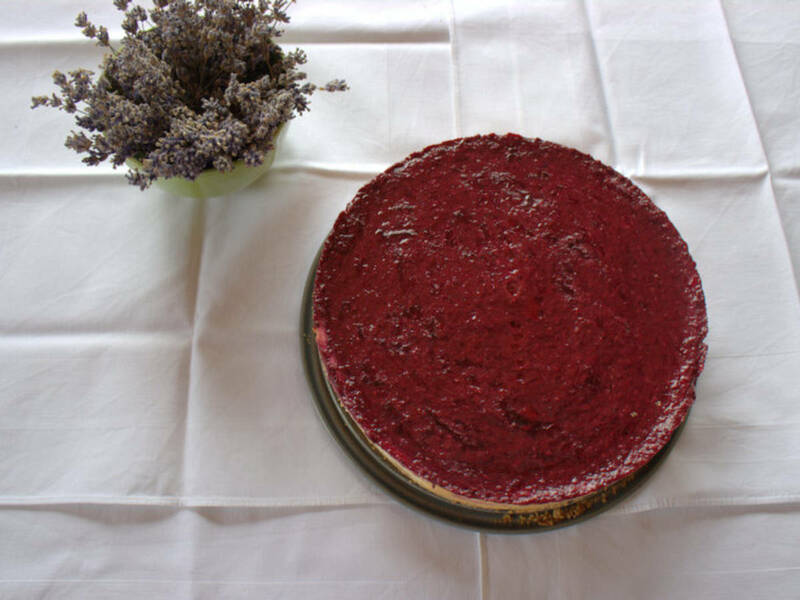 Remove cake from the oven, pour the blackberry puree on top, and leave to cool slightly before placing in the fridge to set, for best results, overnight.